If you are traveling to Norway for the first time, you may wonder what to wear. Norway has become a popular tourist attraction since American television discovered the country, culture, and cuisine a few years ago. So what should you pack when you visit? The answer is not so obvious. You can always tell when people are experienced travelers. They seem to have little luggage, fly through airports knowing every terminal, always look fresh, and have a piece of clothing for every occasion. The inexperienced seem to have loads of luggage and nothing to wear. The trick to knowing what to wear in Norway is choosing clothing that will keep you both dry and warm. It might be freezing on the outside of your snow gear, but you don’t want to be swimming in your own sweat. For this reason, it's more effective to insist on natural fibers. Cotton and wool are always best, and they will help your body regulate itself better under all those layers when you need to stay warm. Norway exhibits several climates. It's actually quite temperate on the west coast, thanks to the passing North Atlantic Current of the Gulf Stream. This means places like Bergen rarely see snow in the winter and have an average maximum January and February temperature of about 4°C (39°F) but about 17.5°C (63.5°F) in June, July, and August. The temperature remains fairly temperate wherever the Gulf Stream passes along the west coast, even in far-northern islands, and most west coast ports remain free of ice in winter. Areas in the far north without the Gulf Stream warming coastal waters are definitely cold, even in summer, and they are downright frigid in winter. By the same token, the farther inland you go, the farther away you are from the Gulf Stream's effect. This means it's colder and snows more in Oslo on the east coast, even though Oslo is a little south of Bergen. Meanwhile, Oslo is colder than Bergen in winter, but a bit warmer in summer, with an average maximum of about -1.5°C (29°F) in winter, and an average maximum temperature in June, July, and August of about 21°C (70°F) in June, July, and August. Actually, it’s pretty easy if you know the weather and type of climate (Norway has eight types). This Nordic country is cold, even during the summer months, there is a lot of rain and snow, and when there is a lot of snow, everyone should think about protecting their skin and eyes against the sun's rays reflecting off the snow, thereby magnifying their effect. Even in the summer, you are going to need long sleeves and a light jacket to keep you warm on the west coast and in more populated areas like Bergen and Norway. Boots are always a must when traveling in any country, whether you are there just to shop or you plan to summit snowy mountains. Boots with softer soles are highly recommended because the cold weather can cause soles to harden. Boots are always the best type of shoes to take on any trip to the extreme climate of northern Norway. They protect your feet from being hurt, and they keep your feet warm. In the southern parts of Norway and cities such as Oslo, you can be a little more flexible and bring closed, waterproof shoes. Most people with city destinations will need something they can wear for a casual setting, and something a bit more fashionable for dinner and nights out. Briefly, in the summer and fall, "be ready to add or remove an outer layer such as a T-shirt, as well as long pants, a sweatshirt or sweater, a jacket or raincoat, and possibly an umbrella," depending on where you're going, according to Climates to Travel, a world climate guide. 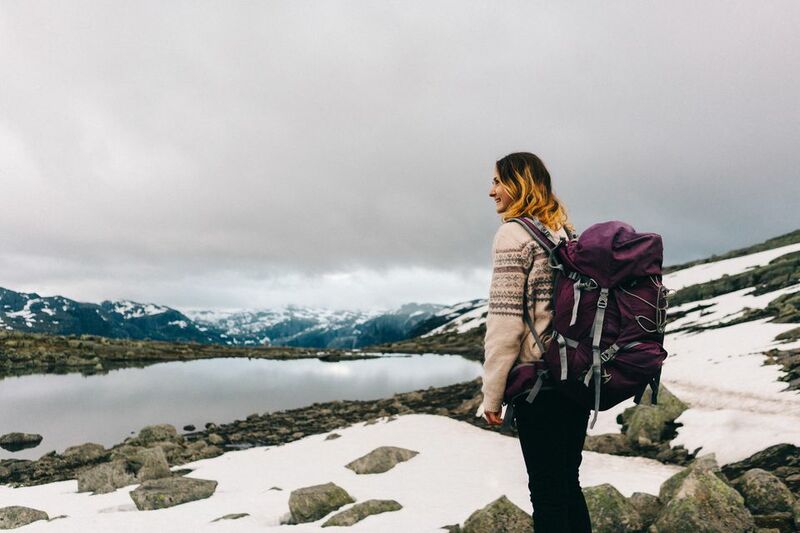 "It can be useful to bring a windbreaker and raincoat for the wind and the rain, especially along the coast and for a ferry trip in the fjords," says Climates to Travel. "In inland areas such as Oslo and along the southern coast, temperatures are generally mild, but a sweater for the evening is still advisable." For northern islands like Jan Mayen and Svalbard: "Warm clothing, down jacket, hat, gloves, windbreaker, raincoat." You will never forgive yourself if you don’t bring thermal underwear when you're traveling to Norway during the winter. Summer in the more populated areas, it's not necessary. But winter is a different story. It's easy enough to tell when someone is wearing thermal underwear in winter; they're the ones having a great time outdoors. Again, think about clothes you can layer, things you can wear under and over other clothing. Jackets that can be turned inside out are another great way to add a piece to your wardrobe without adding weight to your luggage. It is also extremely helpful to know that several thin layers of clothing will keep you warmer than one thick sweater. For winter in Oslo and inland and northern areas, wear "very warm clothes,...thermal long underwear, fleece, a down jacket, hat, gloves, scarf. For the [relatively temperate] west coast: a sweater, down jacket, hat, raincoat, or umbrella," says Climates to Travel. No matter where you go, UV rays can be just as damaging to the skin, eyes, and brain when the skies look dim. Sunglasses and sunscreen are minimum requirements for Norway, especially in the mountains, which can be sunnier than the cities. Norwegians say the mountains can be more dangerous because they are closer to the sun and the rays are, thus, stronger and more damaging. You should also be wary of heat stroke caused by UV rays. To protect against this, you should always pack a protective hat as well.